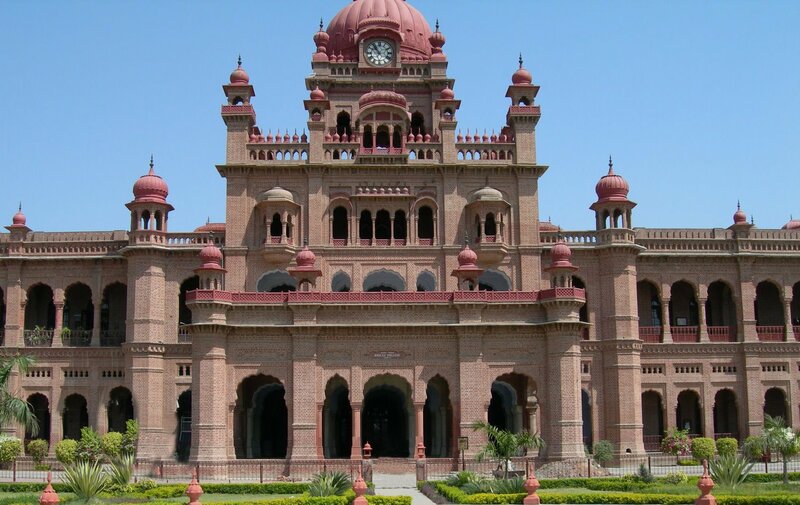 One of the places that we went to visit during our stay in Amritsar was Guru Nanak Dev University, which was about 8 km from the city, on the Amritsar-Lahore Highway. There is bus service to the university from the city and we took a bus to reach the university. It was established on 24th November, 1961 as a part of Guru Nanak Dev’s birth centenary celebrations. Various faculties here are Applied Sciences, Arts and Social science, Economics and Business, Engineering and Technology, Humanities and Religious Studies, Languages, Laws, Life Sciences, Physical Education, Sciences, Sports Medicine and Physiotherapy, and Visual and Performing Arts. 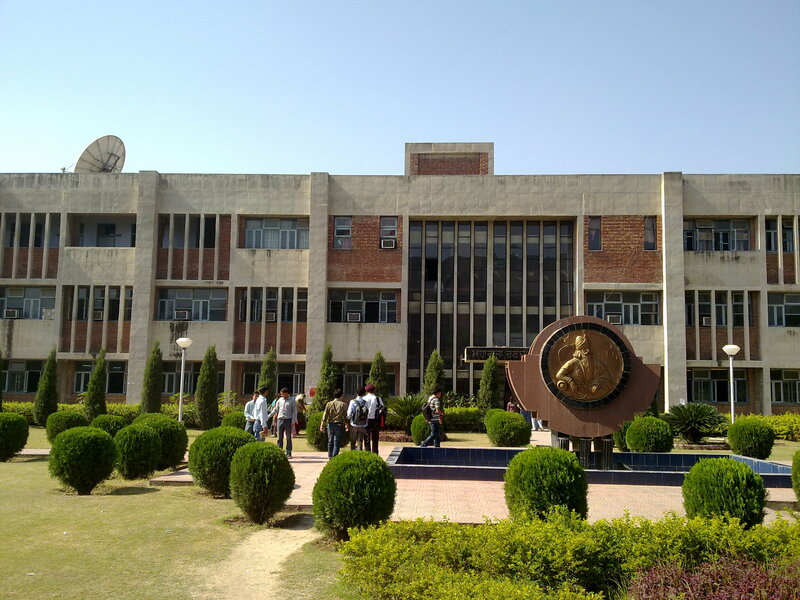 The university also deals with the study and research on the life and teachings of Guru Nanak, the promotion of Punjabi language and spreading education among the backward classes of the community. The campus was very large, about 500 acres in area. The building were built with red brick and consisted of 37 academic departments. Other than academics, the university aims at the all round developments of the students. There are Youth Services, National Service Scheme and an auditorium that can accommodate 900 people. There are also seminar and conference halls, a hi-tech Sports Complex, sports hotel etc. The campus has many trees and plants that make it green all over. There are also small gardens in the campus with fountains. It was quite cool inside and there was breeze blowing throughout the day. We walked past the various paths and saw that it was well maintained and looked after. We met some students on the way and learnt that they came from different parts of India to study there. They said that the professors here were well experienced and very dedicated. They were always ready to help them with their studies. Description : Kolkata has one of India’s oldest fine arts society. It was established in 1933 by Ranu Mukherjee. I enjoyed the visit to the place. I am a lover of fine arts and enjoyed each of the works displayed there. 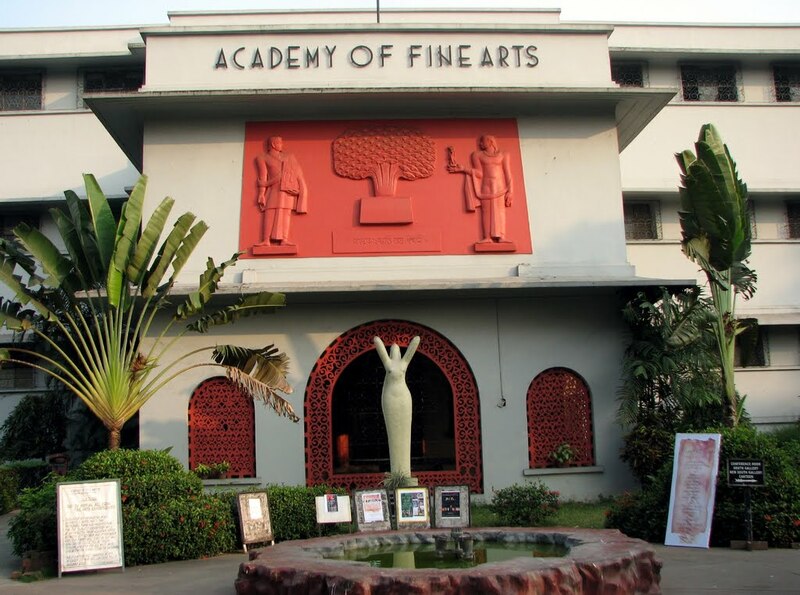 Artists of India will surely find a place for their works in this magnificent fine arts society.